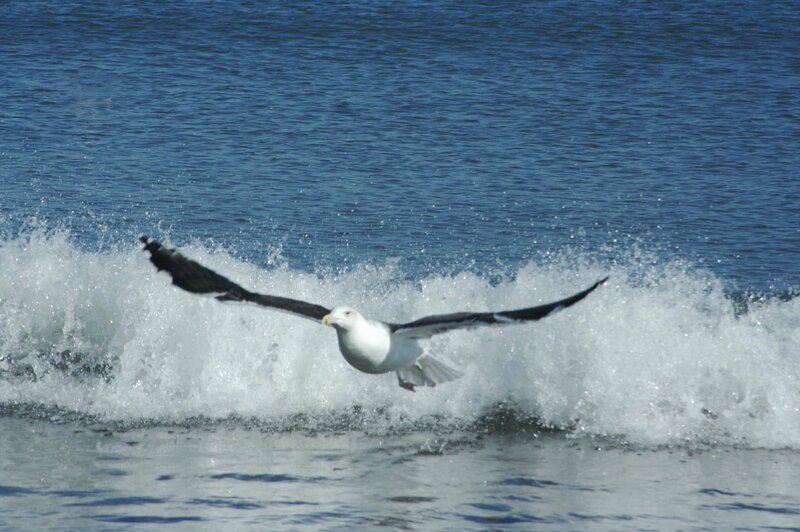 I was walking on the beach this day and was very lucky to catch this seagull in flight. It was a fantastic moment. I just knew I had gotten a good photo, even though it's slightly out of focus. Oh, well.